The Elders room can accommodate up to 50 people for public or private events. For rentals click the Facility Rental icon in the left sidebar menu. Contact Gift shop for evening classes schedule. 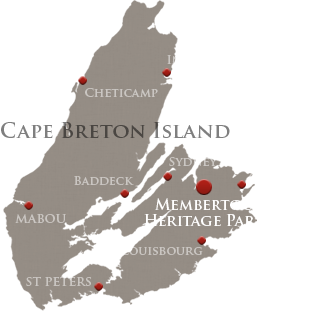 Hampton Inn by Hilton Membertou — Hampton Inn by Hilton Membertou is seconds away from the Membertou Heritage Park. It is conveniently attached via pedway to the Membertou Trade & Convention Centre, which boasts the tasty food of Kiju's Restaurant. 1910 - December - Joseph A. Gillies, property land owner next to the King's Road Reserve, write to Frank Oliver, Minister of the Interior, and urges him that if the indian will not move from the King's Road Reserve, then legislation should be amended so "to enable the Department to easily and readily deal with a case of this kind, in the event of the Indians proving unreasonable in their consent to a surrender".